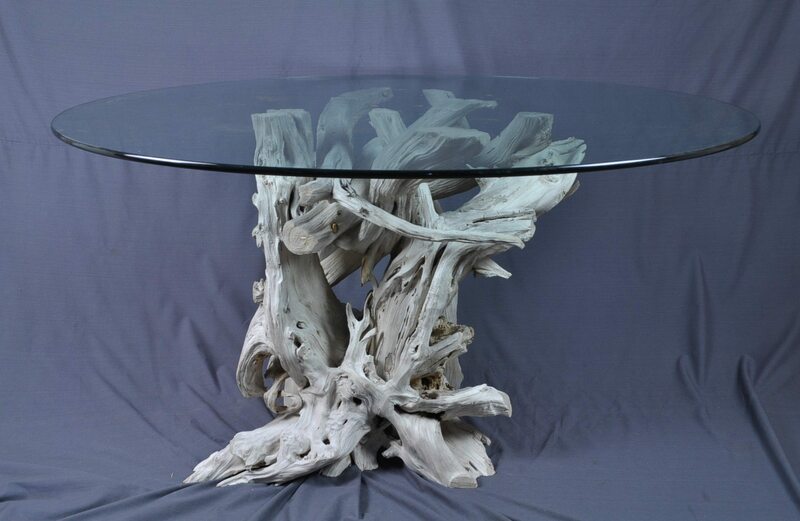 This past summer I was contacted by a customer in Advance, NC who wanted me to create a round driftwood dining table for her new home. She mentioned that she grew up in the College Park area of Orlando ( where my showroom & home are located) & still had family in this area. After a few more emails we realized that her brother & his family were dear friends of ours & their son is a good friend of my sons. 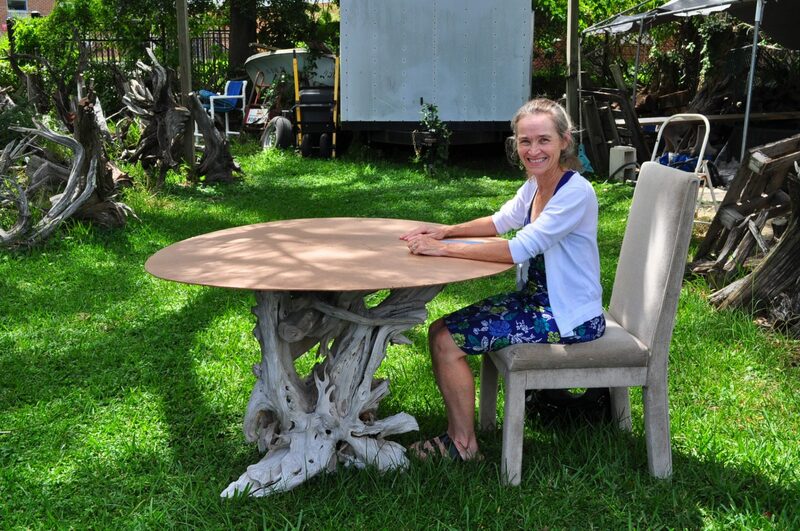 That allowed her sister in law to come by my store & “test out” the table for my customer. I used a 48″ template to simulate the glass so we could see what kind of chair & leg room it would allow. 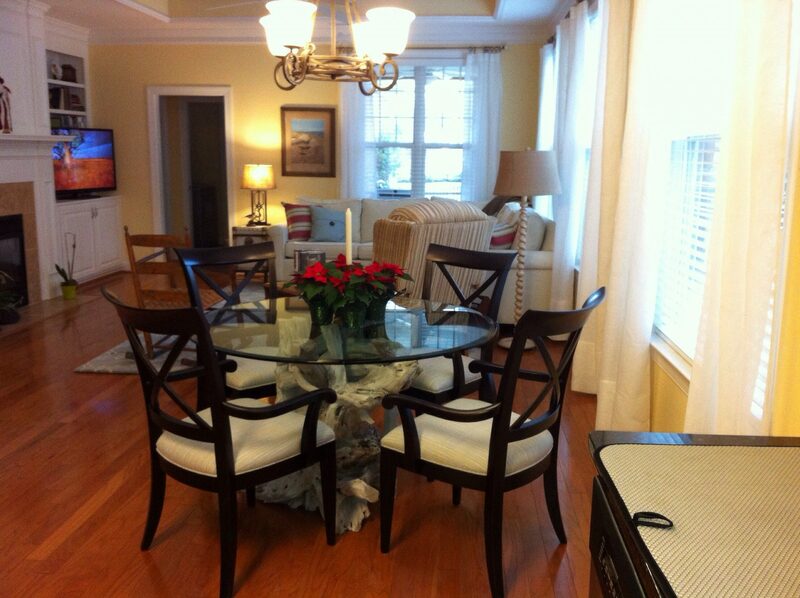 Just prior to Thanksgiving her brother picked up the table & drove up to North Carolina in time for the holiday. 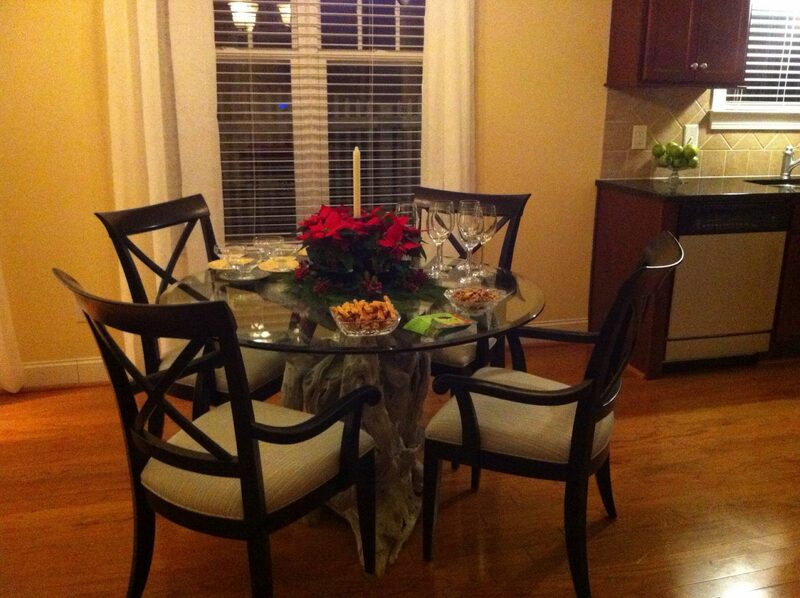 She was able to order the glass from Glass Tops Direct & was very pleased with their white glove service. I could not be more pleased with Don’s work. My table is exactly what I was looking for for the open space in my new home. He patiently worked with me throughout the decision making process, created a beautiful piece of art work, and even helped load it into my sister-in-laws car for delivery….how can you beat that service?? ?